Belkin has just struck a deal to acquire Cisco’s Home Networking Business Unit, which will bring Linksys’ name, products, technology and employees under its new owner’s umbrella. Mothballing isn’t in the cards for Linksys, however, as Belkin plans to keep the brand alive and even offer support for its existing products. The two networking titans haven’t said a peep regarding a sticker price, but they expect the pact to be finalized in March. Once the transaction is rubber stamped, Belkin figures it’ll compose roughly 30 percent of the home and small business networking retail market in the US. Hit the jump for the press release. “Linksys pioneered wireless connectivity capability around the globe, and has a strong brand renowned for its premium market position, the strength of its installed base and its proven dependability. Linksys users benefit from peace of mind in their home networking environment. At Belkin we have developed great insight into consumer needs, and the experiences, solutions and products we bring to the market, including our WeMo home automation platform, will help us to grow Linksys’ market presence,” Pipkin said. 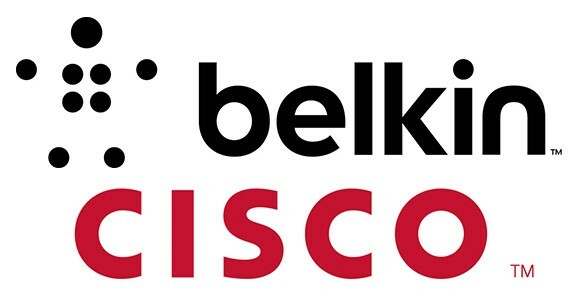 Belkin and Cisco intend to develop a strategic relationship on a variety of initiatives including retail distribution, strategic marketing and products for the service provider market. Having access to Cisco’s specialized software solutions across all of Belkin’s product lines will bring a more seamless user experience for customers. Merging the innovation capabilities of Linksys and Belkin provides a powerful platform from which to develop the next generation of home networking technology.